For crop and non-crop, industrial, turf and ornamental and farmsteads. Use on: pasture grasses, forage legumes, rangelands, crops, roundup ready, industrial, turf, ornamental, vegetables, and gardens. 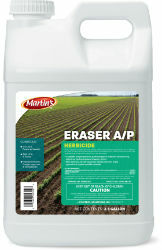 Effective Against: annual weeds, perennial weeds, trees, vines, and shrubs.